Thanks to all the participants in the November 2013 Turkey Shoot! 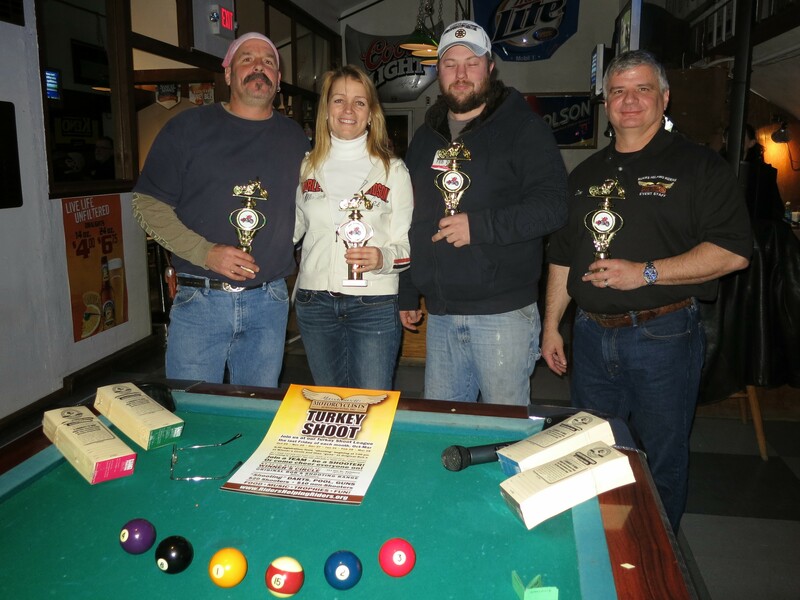 Below is a picture of the night’s sharp-shooting winners in Darts, Pool & Pistols! More photos of the night are available here, thanks to Marie Hanabusa. The next Turkey Shoot will be on Friday, December 27th. You can buy your tickets for the next Turkey Shoot here. The season-long 2014 Survivor’s Fund Raffle also kicked off last night at the Turkey Shoot, and the winner will be drawn at the 15th Annual Nelson’s Ride on August 17th, 2014! You can buy your raffle tickets online here, and be entered to win an estimated $2,000 grand prize! This entry was posted in Events, Photos and tagged events, marie hanabusa, november, raffle tickets, turkey shoot on November 30, 2013 by mmsf.